The fens to the right of the picture are mile on mile, of fields as flat as a pancake. You would be hard pressed to find a more open and break place to put a large marching yard. 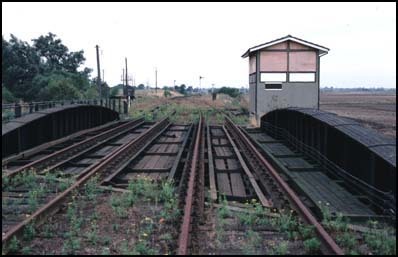 The up yard was entered to the left just after the bridge. The box is all boarded up and name plates removed. Today Whitemoor prison is on some part of the yard. 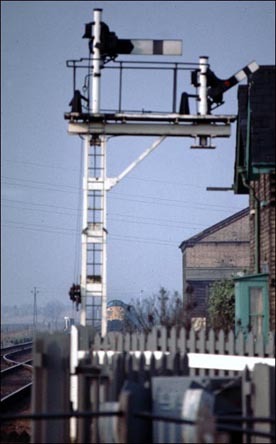 This part of this site is of some of the signal boxes around March in Cambridgeshire. 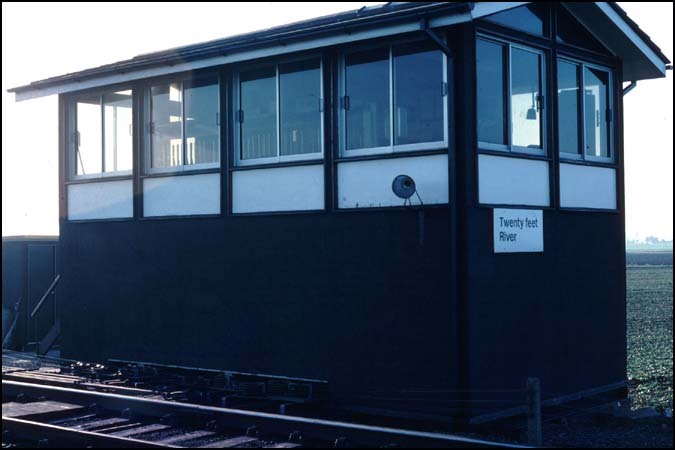 Although some signal boxes in March are still in use in 2010, this signal box closed in 1982. Signal at March Twenty Foot river bridge road crossing when the GN&GEJR March to Spalding line was open. The train is signaled to go into Whitemoor yard. This signal has been left were it is and is still standing but there is no railway left.